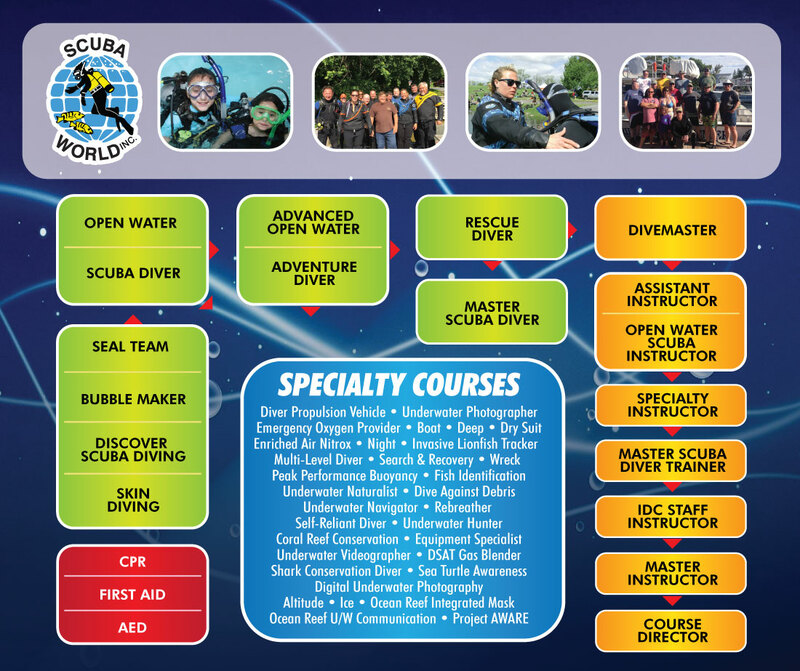 Most of our specialty courses can be taught at both the diver and instructor levels. We offer a single specialty course at $200. If a diver signs up for 5 specialty courses, he/she only pays for only 4.